I had a very bad experience in the past in which my house was listed at a price that was not realistic for the market at that time. Lindsay was accessible at any time to answer questions and was excellent in keeping me informed on where we were at in the sales process. She helped me get the best deals with contractors to get my house ready to go on the market. She did not ask me to do more changes than necessary to get the house updated for the market. I really appreciate her working with me on that. Once my house was listed on the market, I had several showings in two days which resulted in 8 offers which totally blew me away. The offers were either at my asking price or more. This totally exceeded my expectations. Lindsay did an awesome job of walking me through each offer. I was very comfortable in our decision on which offer to accept. She kept me updated during the closing process which was moved very quickly and I had a very small list of items to address on my house with the new buyers. Again, exceeded my expectations. You are in good hands with Lindsay and will get the best price for your house. She is also a friend and would absolutely use her services again if I decide to buy or sell a house in the future. We are finally settled into our new home and we wanted to take this rime to let you know just how much help Lindsay was to us during our home search over the past six months. Lindsay certainly made all those long days of looking at homes a lot more enjoyable for our family with her positive attitude, her beautiful smile, and her truly genuine concern for our happiness. When we first contacted her we had no idea that she would make our relocation process virtually pain free. 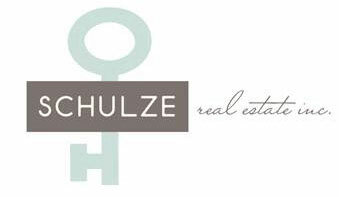 We were most impressed when she set us up to receive emails of new listings that fit our personalized specifications. It was very helpful and allowed us to preview homes before actually traveling to the Overland Park area to see them in person. She stayed connected to us and continued to keep us motivated as we began the months of looking for just the right home, and she gave us her honest opinion when we asked for it. She kept us focused and never let us lose sight of our goal, which was to find a home with just the right location that we could feel comfortable and safe in. After looking at hundreds of homes over the Intranet, and actually looking at 84 homes in person with her as our guide, we finally found the home that we knew was right for us. Lindsay arranged everything for us and set up the inspections as well as spent the day with us during the inspections to assure that we understood everything that was happening. She even set up the carpet cleaning for us with her own personal carpet cleaner. We feel like we hit the jackpot with Lindsay as our Realtor. Lindsay was honest and upfront with us from day one through closing. We felt she was always on our side. She returned calls and emails promptly and was a joy to work with during a stressful time. Lindsay was very professional and was one (if not the only) real estate agent we felt that we could “trust.” – A true compliment to Lindsay!